A report into Electrical Safety in Rented Property has just been published which will make it a mandatory requirement to have five-yearly electrical checks. There is also a recommendation that a Residual Current Devices (RCDs) should be a part of the system. A Department for Communities and Local Government (DCLG) working group has published its findings and 8 recommendations for electrics in rented property in England. During the passage of the Housing and Planning Act in 2016, concerns were raised about electrical safety in rented properties in England. This followed some sweeping changes to the legislation in Scotland which brought in mandatory checks. The Scottish Government recently introduced (1 December 2016) mandatory five yearly electrical checks, to be carried out by a registered electrician for all electrical installations and electrical appliances supplied in tenanted properties. The Welsh devolved Government is currently considering options to introduce duties on electrical safety standards in Wales. In response to the concerns in England, the Government introduced an enabling power in the Housing and Planning Act 2016. This allowed for changes to electrical safety standards in the PRS to be set through secondary legislation at a later date, if this was deemed necessary. 5 yearly mandatory electrical installation checks should be set out in secondary legislation. 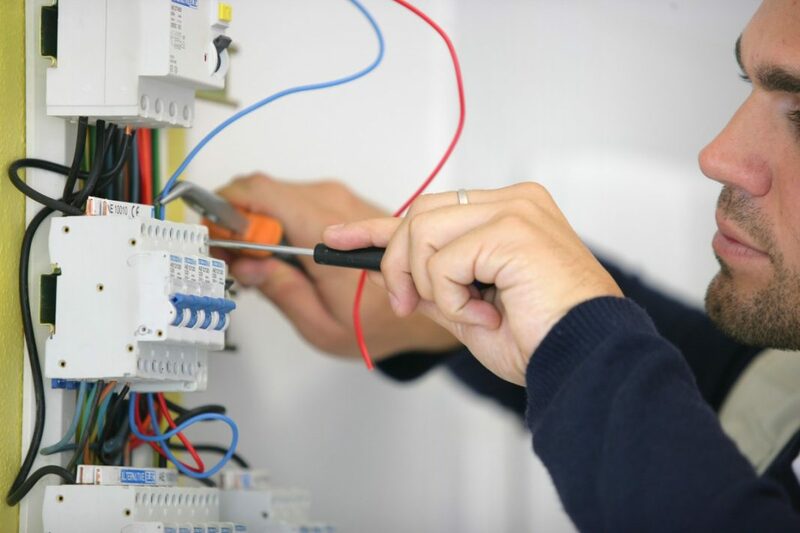 Visual checks of the safety of the electrical installation by landlords at a change of tenancy should be encouraged as good practice and set out in guidance. A report should be issued to the landlord which confirms that an EICR* has been completed along with confirmation that any remedial work necessary has been undertaken satisfactorily. A copy should be issued to the tenant at the beginning of the tenancy and should be made available to local authorities on request. Landlord supplied electrical appliance testing and visual checks of electrical appliances by landlords at a change of tenancy should be encouraged as good practice and set out in guidance. The installation of Residual Current Devices (RCDs) by landlords should be encouraged as good practice and set out in guidance. A PRS electrical testing competent person scheme should be set up which would be separate from the existing Building Regulations competent person scheme. DCLG should commission the Electro-technical Assessment Specification (EAS) management committee to consider the most effective method of assessing ‘competent PRS testers’ to carry out electrical inspections and tests. Legislative requirements should be phased in, beginning with new tenancies, followed by all existing tenancies. Landlords, as part of good lettings practice, are to be encouraged to work towards meeting these standards ahead of the enacting legislation. There will be no mandatory requirement to PAT test appliances, though inspection and PAT testing is recommended and to be encouraged between tenancies. Exactly who will be competent to carry out these tests has yet to be decided, but a qualified electrician can do these checks now. *An Electrical Installation Condition Report (EICR) is an official document that is produced following an assessment an electrical installation, either domestic, commercial or industrial premises require inspection with varying degrees of frequency depending on the premises.